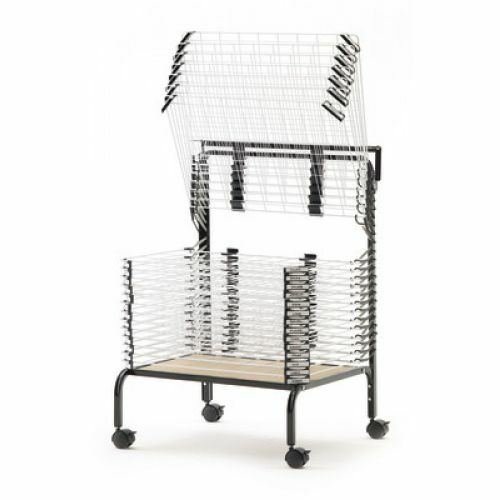 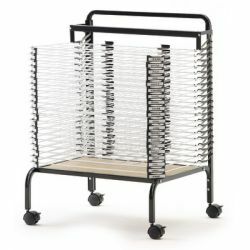 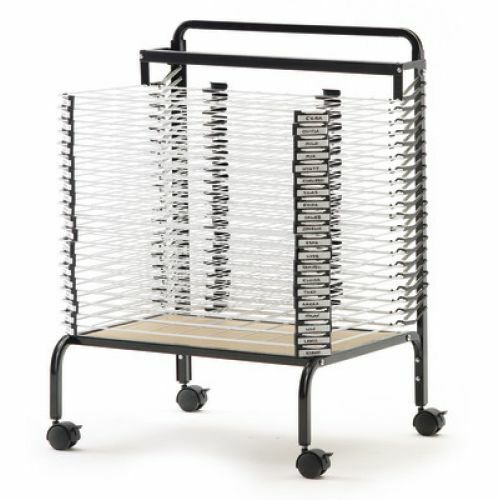 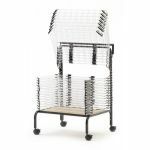 This 20 rack drying and storage solution is perfect for protecting the masterpieces of budding artists in any class or art room! 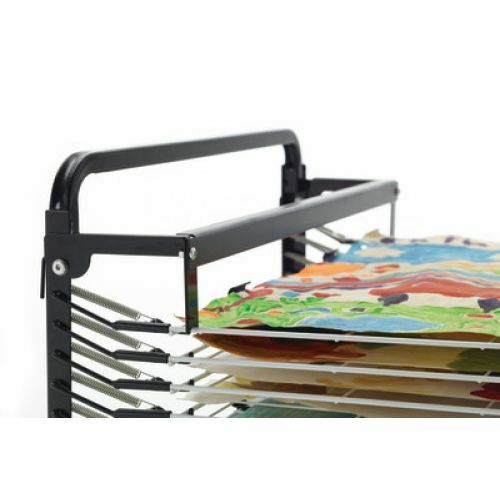 Durable metal shelves allow paintings, collages and other works of art to dry flat. 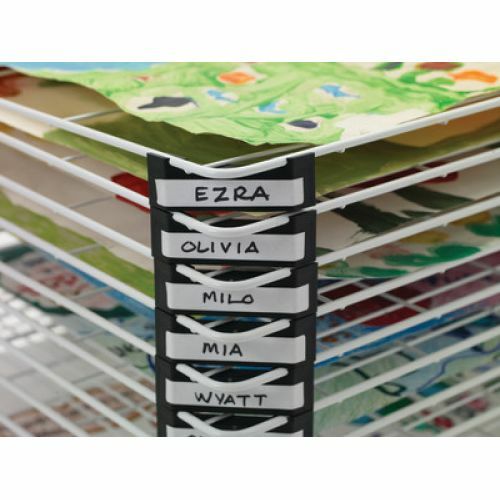 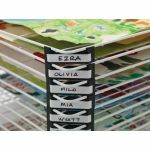 Rack spacers can be personalized with student names. 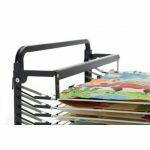 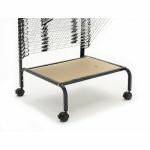 Unit includes a lock bar to secure racks in place and paper catch clips to ensure that artwork does not slip out of the rack. 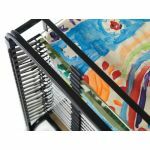 Removable paint drip tray protects classroom floors from unwanted spills. 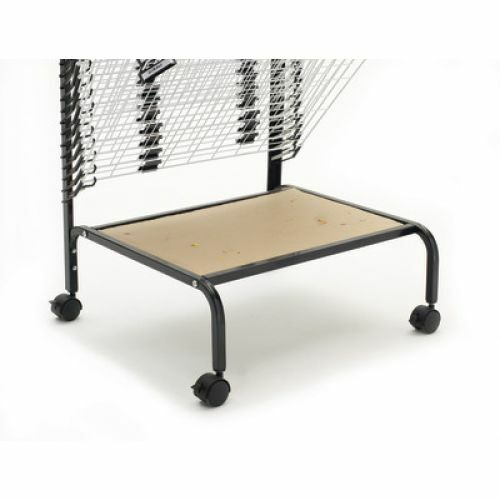 Four 2" locking casters for mobility. 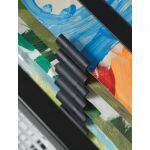 Frame measures 351⁄2"W x 241⁄2"D x 581⁄2"H. 1 year warranty.